I think I might be retired. In the least, I am no longer looking for full-time employment. But I am not completely finished “working.” For the past ten years, I have taken on consulting and part-time jobs and I fell into what is usually called freelance work. I read an article about a study of freelance workers that predicted that 40% of the workforce will be freelance by 2020. That’s more than 60 million people. Some people dream about the idea of being able to leverage their skills, creativity and talents without answering to a boss. Of course, freelancers still have a boss. You might say that you become your own boss, but in some ways your boss just keeps changing. I was warned by others before I headed down this road that it can be a scary proposition. Some freelancers work long hours and without any of the traditional perks (benefits, paid vacations etc.) and protections of regular employment. What is a freelancer anyway? It is defined as a person who acts independently without being affiliated with or authorized by an organization and without a long-term commitment to any one employer. 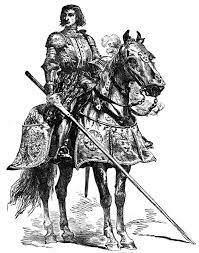 Going back in history, it was a mercenary soldier, especially in the Middle Ages. A soldier with a lance who was free to use it for whoever was ready to pay. I’m not a fan of the mercenary part of the definition, but all of that fits. So, why did I go freelance after many years as a regular employee? I thought it would afford me more of a work/life balance now that I am able to collect a pension from teaching and with less need t earn. Though some freelancers actually make more money on their own, I don’t see that happening for me, but I have no intention to work enough to make more. I do like being selective about what work I take on, and I like the possibility of taking on interesting work across multiple industries. I will miss the community aspect of a workplace since now working on a course or website is a very solitary kind of work. Why do companies and institutions like to hire freelancers? (I will include “consultants” and “independent contractors” in this group. They certainly like not having to pay for expensive benefit packages. They like having on-demand talent and access to expertise only when it’s needed. Since I have been both a full-time teacher and employee and, for the past decade, and also a part-time worker, grant employee and adjunct faculty member, I have seen both sides. Being an adjunct is a very tough way to make a career life. People who do it as their job (and not as a supplement) work hard with crazy hours and schedules and usually without a lot of support from the institutions that employ them. Of course, they teach the majority of college students these days at many institutions, so they are very important. Will 40% of the workforce be this way in a decade? Sounds like a high number, but in 2006 (the last time the federal government counted) the number of independent and contingent workers—contractors, temps, and the self-employed—stood at 42.6 million, or about 30% of the workforce. In the years since then, there has been an economic downturn and the employment rate has recovered at a very slow pace. Exceptions? Temporary, contingent, and independent workers. Between 2009 and 2012, according the Bureau of Labor Statistics, the number of temporary employees rose by 29%. Forbes magazine suggested that we should forget about the jobs reports are regularly issues and focus on the freelance economy. Health insurance remains a significant draw for traditional employers and often ties workers to companies. By the same token, it’s often a big cost that pushes companies to hire freelance/part-time workers/consultants. More choices in the area of benefits might have an impact on the trend toward the gig economy and that 40% figure you mentioned.